SAN FRANCISCO, California, November 30, 2010 (ENS) – A federal judge today issued a preliminary injunction ordering the immediate destruction of 256 acres of genetically engineered sugar beet seedlings planted in Oregon and Arizona in September. Judge Jeffrey White determined that the seedlings had been planted in violation of federal law and regardless of his previous ruling that made planting of GE sugar beets illegal until the U.S. Department of Agriculture completes an Environmental Impact Statement, EIS. Judge White isssued the injunction in a lawsuit filed by Earthjustice and Center for Food Safety on behalf of a coalition of farmers and conservation groups. The lawsuit was filed on September 9, after the U.S. Department of Agriculture revealed it had permitted the seedlings to be planted although a court ruling in August vacated the USDA’s deregulation of biotech sugar beets, based on the agency’s failure to prepare an EIS. The plaintiffs – The Center for Food Safety, Organic Seed Alliance, High Mowing Organic Seeds, and the Sierra Club – had immediately sought a court order to halt the planting. Half of the nation’s sugar comes from sugar beets, and 95 percent of them are grown using Monsanto’s Genuity® Roundup Ready® sugar beets, which are genetically engineered for tolerance to the herbicide glyphosate, the active ingredient in the Monsanto pesticide Roundup. Judge White ruled today that GE sugar beets could harm the environment and consumers, noting that containment efforts were insufficient and past contamination incidents were “too numerous” to allow the illegal crop to remain in the ground. In his court order, Judge White noted, “farmers and consumers would likely suffer harm from cross-contamination” between GE sugar beets and non-GE crops. “The likely environmental harm established by Plaintiffs is irreparable,” the judge wrote. On September 28 Judge White ruled that USDA’s Animal and Plant Health Inspection Service, APHIS, had violated the National Environmental Policy Act by allowing the plantings without analyzing the potential environmental, health, and socioeconomic impacts of growing GE sugar beets. “The legality of Defendants’ conduct does not even appear to be a close question,” wrote the judge in today’s ruling, noting that the government and Monsanto had tried to circumvent his earlier ruling. “Failing to conduct the required environmental review and depriving Plaintiffs and the public ‘of the opportunity to participate in the NEPA process at a time when such participation is required and is calculated to matter’ constitutes irreparable harm,” ruled Judge White. Judge White heard testimony from the parties during a three-day hearing in November before issuing today’s ruling. USDA lawyers argued that the seedlings were separate from the rest of the sugar beet crop cycle and had no impact by themselves, but the judge rejected this argument. He found that the law requires USDA to analyze the impacts of not only the seedlings, but the rest of the Roundup Ready® sugar beet production process as well, before any part of that process can begin. After completing an Environmental Assessment, APHIS deregulated the GE sugar beets as requested, effective March 4, 2005. Five years later, 95 percent of the 2010 U.S. sugar beet crop was genetically modified Genuity® Roundup Ready® sugar beets, Monsanto says. 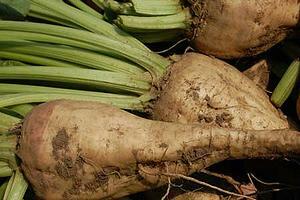 But in September of 2009 Judge White found APHIS had unlawfully deregulated GE sugar beets. On August 13, 2010, the court vacated the deregulation determination, ruling that APHIS’ Environmental Assessment failed to consider certain environmental and interrelated economic impacts. The judge sent the issue back to APHIS for an Environmental Impact Statement, a more extensive examination of the impacts of GE sugar beets. The EIS process is ongoing and the agency says it should be complete by spring 2012. The August ruling made any future planting and sale of the GE sugar beets illegal until APHIS complies with federal law. But almost immediately after the ruling, the agency issued permits allowing companies to plant seedlings to produce seed for future Roundup Ready sugar beet crops, even though the crops are still illegal to grow, and no EIS has been completed. Growers rushed to plant the seed crop in Oregon and Arizona, and these are the crops that must be uprooted. APHIS is now in the process of evaluating the partial deregulation request, and the agency would have to issue special guidelines to authorize any interim planting of the GE sugar beets while it completes the court-ordered environmental impact statement and then makes a final decision.